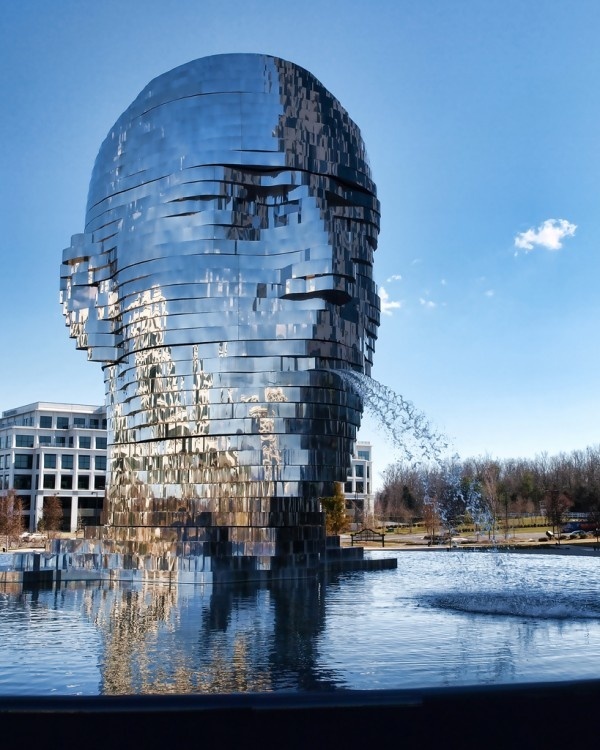 'Metalmorphosis' by Zzech sculptor David Cerný is a 7.6 m tall sculpture located in front of the whitehall corporate center in Charlotte, North Carolina, USA. 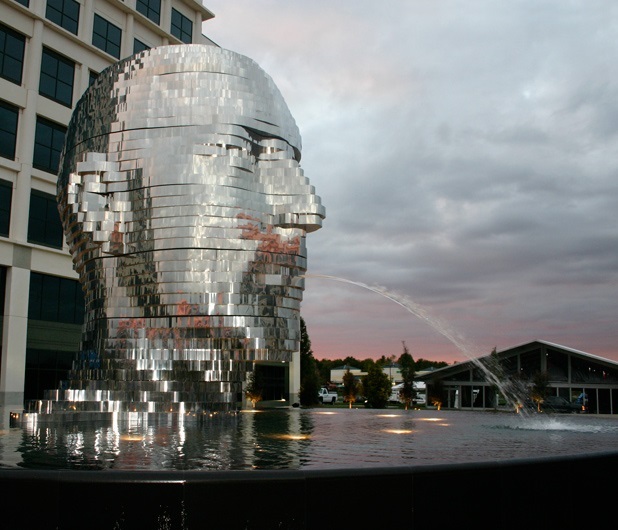 The artist's first permanent public installation in the united states, the piece consists of multiple plates that rotate intermittently to create a three-dimensional human head that dispenses water from its mouth into a large fountain base. 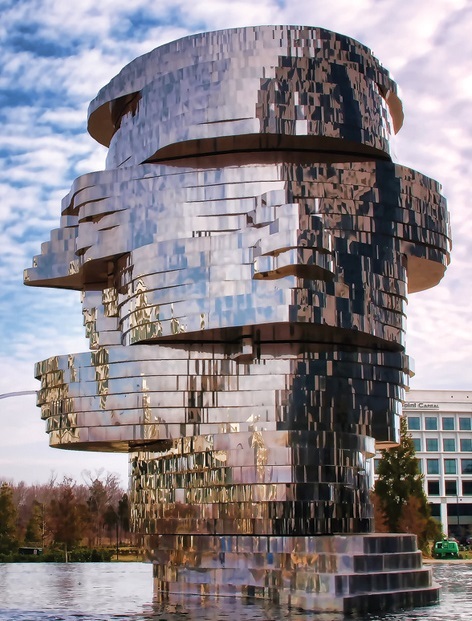 The construction of the sculpture utilized approximately 14 tons of stainless steel and features a custom-written program that controls the embedded motors within the structure. 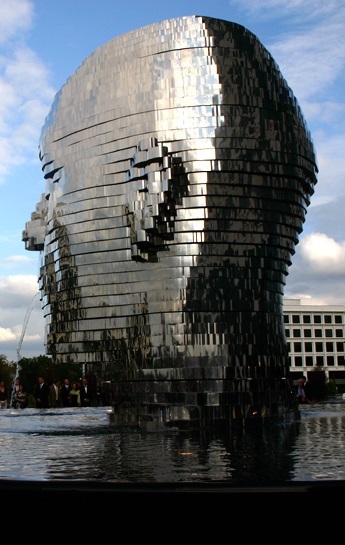 Continuously changing in its orientation, the layers that make up the head are controlled via the internet by černý. 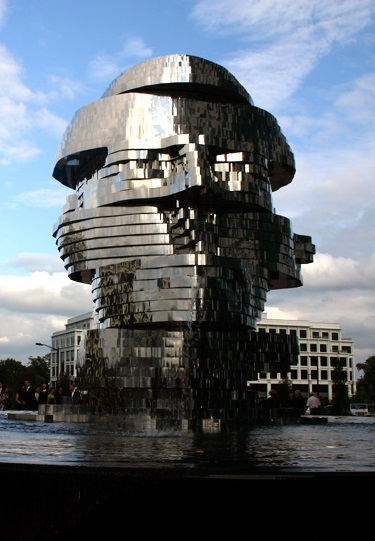 A theme which the artist has been exploring with his work, the piece incorporates mechanical engineering and computers into the holistic make up of the design.